Congratulations to our faculty and staff who recently received the following awards. 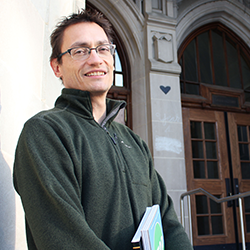 Professor Carl Gutwin will be presented with the Distinguished Researcher Award at the 2018 Spring Convocation in June. This award is one of the University of Saskatchewan's highest honours for faculty and recognizes significant contributions by a faculty member to knowledge or artistic creativity. Dr. Gutwin is the co-director of the Human-Computer Interaction Lab and is the world's foremost expert on group awareness. His research on human-computer interaction has had profound impacts on the design and development of collaborative software. 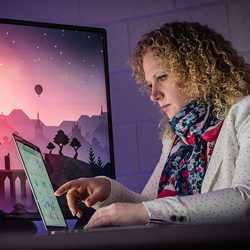 A former Canada Research Chair in Next-Generation Groupware, Dr. Gutwin's pioneering research is now used in platforms such as Google Docs and Microsoft Office. A dedicated teacher and mentor, Dr. Gutwin has supervised more than 85 trainees, many of whom have gone on to become leaders in academia and industry. 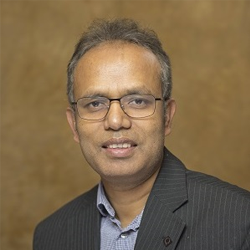 Dr. Chanchal Roy, a professor in the Department of Computer Science won the ten-year Most Influential Paper award at SANER 2018 in Campobasso, Italy. Dr. Roy, along with his former supervisor, Dr. James Cordy, published their WCRE 2008 research paper "An empirical study of function clones in open source software" and it was chosen from among all those published at WCRE 2008 and CSMR 2008 for its lasting impact on research over the past decade. The paper was cited "for influencing future studies in software cloning through the development of an extensive benchmark dataset". SANER 2018, the 25th IEEE International Conference on Software Analysis, Evolution and Reengineering, is the premier international conference on the theory and practice of recovering information from existing software and systems. Dr. Regan Mandryk, Professor in the Department of Computer Science was awarded the E.W.R. Steacie Memorial Fellowship for her ground-breaking research, which involves developing digital game technology to assess mental health. The prestigious E.W.R. Steacie Memorial Fellowships are awarded annually by the Natural Sciences and Engineering Research Council of Canada (NSERC) to enhance the career development of outstanding and highly promising scientists and engineers who are faculty members of Canadian universities. Dr. Mandryk will be awarded $250,000 over two years to advance her research , enabling her to devote time and energy entirely to the work. In addition, the fellowship will provide the U of S up to $90,000 a year for a replacement to perform her teaching and administrative duties for the duration. Her research involves two complementary approaches. The first is to develop and use games designed especially for mental health assessments. These games are designed in a way that players' choices or actions mirror basic cognitive processes or executive functions that involve mental control and self-regulation. The second approach involves having access to big data from thousands of people playing commercial games. By tracking players' natural game interactions such as play times, in-game choices and typing patterns, studying stress metrics derived from processing speech signals, and using webcam observations of facial expressions and even heart rates, she plans to create a predictive model of mental health decline. "There's so much potential benefit. Not only can we assess a large number of people, but by using games we can also assess the mental health of people at much lower ages, like young children and in more geographically remote areas, which is an important consideration for Canadians." 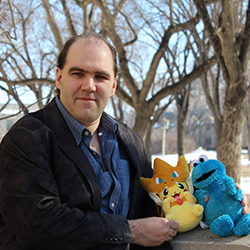 Dr. Jeff Long, a Computer Science instructor, has been awarded the Teaching Excellence Award presented by the University of Saskatchewan Students' Union (USSU) for the 2017-2018 academic year. The Teaching Excellence Award recognizes leadership qualities in an individual that better both the academic and non-academic environment for the undergraduate students of the university. Individuals selected for these awards show that one person can make a difference and bolster the image of students, staff, and the university.